Since the dawn of civilization, mankind has looked towards religion as a way to explain the way the world works. While there are differences in all of them, creation myths and deities tend to have significant through-lines, and tonight I feel prepared to publish my explanation as to why this happens. 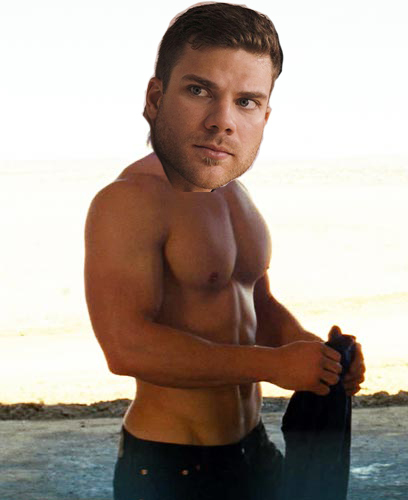 In the past, we have shown that Chris Davis is actually Jesus, but I believe there is more to it than that, that if you look closer, you can find Chris Davis in all religions. If it weren’t for WordPress’ advanced statistics, we would sit around all day and ponder about how many people from Algeria have ever read the blog (it’s 9 by the way). One particularly great feature of WordPress is that we can see the Google search terms that lead people to CFB. The top three searches are pretty expected. Duh. But if you look a bit lower down the list, you’ll find some funky ones. They all fall into three very specific categories. 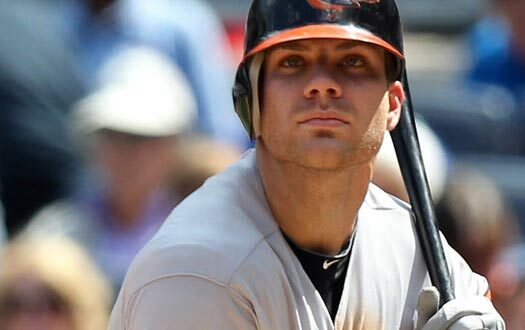 What Has Changed About Chris Davis ? This past January, Baseball Prospectus’ Sam Miller explored the possibility of former Orioles slugger Mark Reynolds having a very unfortunate visual deficiency. It got me thinking. 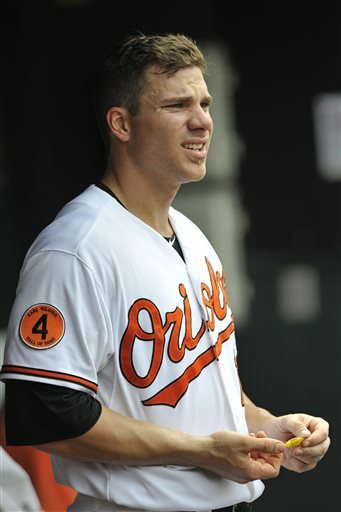 Baltimore Orioles first baseman/designated hitter/occasional disastrous right fielder Chris Davis is off to an unbelievable start to the 2013 season. 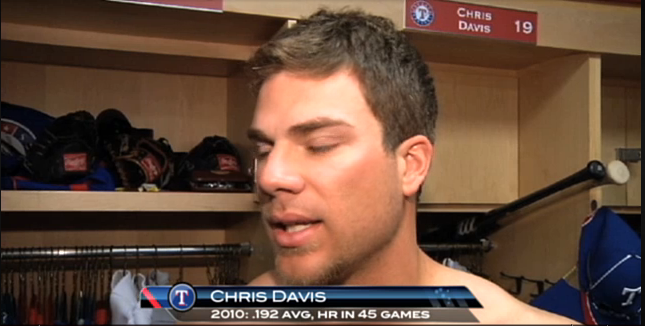 Through 14 games and 58 humble plate appearances, Davis is slugging a comical .784 with 20 RBI and 6 dingers. 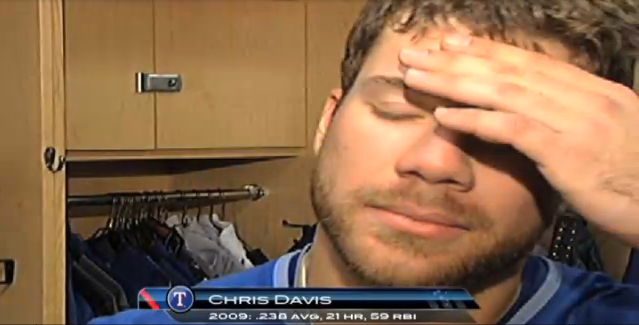 In 2011, split between Texas and Baltimore, Davis drove in 18 runs and hit 5 dingers over 210 plate appearances. Last year, he broke out in a full season with the O’s, blasting 33 home runs and driving in 85. He’s always had big time raw power, but it’s never translated to this extent. So what changed? 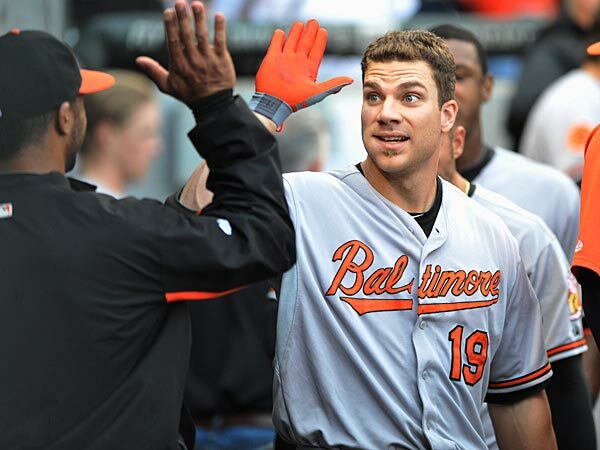 What has changed about Chris Davis that has turned him into a true middle-of-the-order threat? It had to be something subtle, I pondered. 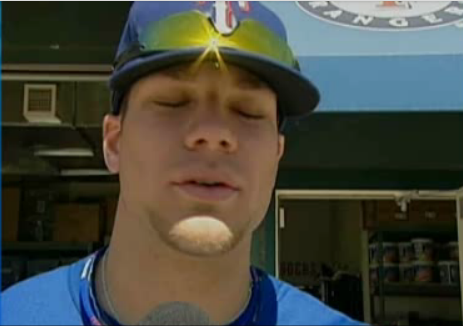 He hasn’t developed a new approach or magically acquired improved hand-eye coordination to help reduce the strikeouts. 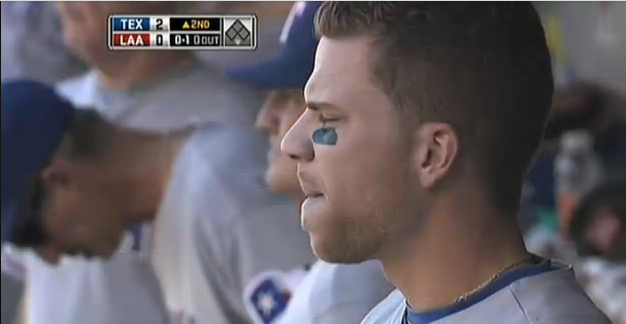 I believe Chris Davis has actually eliminated a part of his game in order to improve his performance. 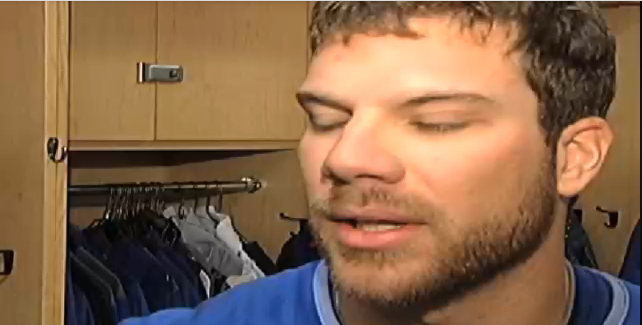 After nearly a full 10 minutes of research, I’ve concluded that Chris Davis has decided to stop blinking. It seems hard to comprehend, but the evidence is overwhelming. 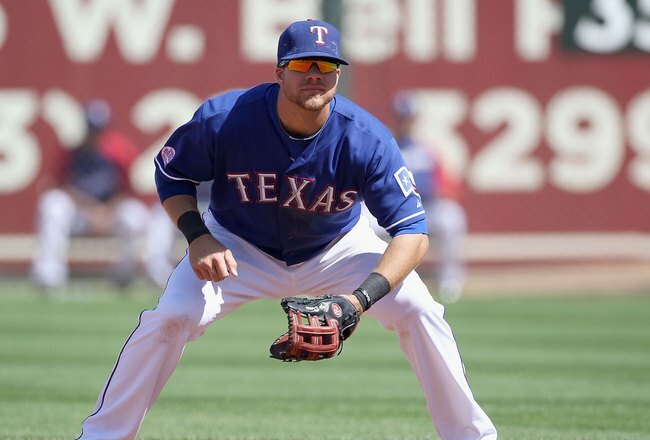 Let’s take a look back at Davis’ days as a Texas Ranger. So we’ve identified the problem. Has Davis really fixed this horrendous flaw in his game?